If you are looking for the best office chair for lower back pain, there is one for you, under any budget. Whether you want to prevent back pain or you already are a victim, there are chairs to help you. Your place of work should be a comfort zone rather than a punishment zone. Only an ergonomic office space can keep you productive and happy with your work. When choosing the best office chair for lower back pain, ensure that it actually can help with lower back pain. It should help you if you already have back pain. It should also help prevent the occurrence of the same if you work long hours in the office. Sadly, not all office chairs masquerading as chairs for back pain are as good as their manufacturers purport them to be. Thus, to get the best one, you have to look at some reviews and buying guides. In this buying guide for the best chairs for lower back pain, you will see why some brands are more popular than others. Using a bad office chair may not bother you when you are young and you have just joined the workforce. However, in your senior years, you could start suffering from the effects of the bad chair that you used for so long. The ergonomic factor of a good office chair lowers the risk of suffering from chronic back pain in future. How does a chair for lower back pain work? 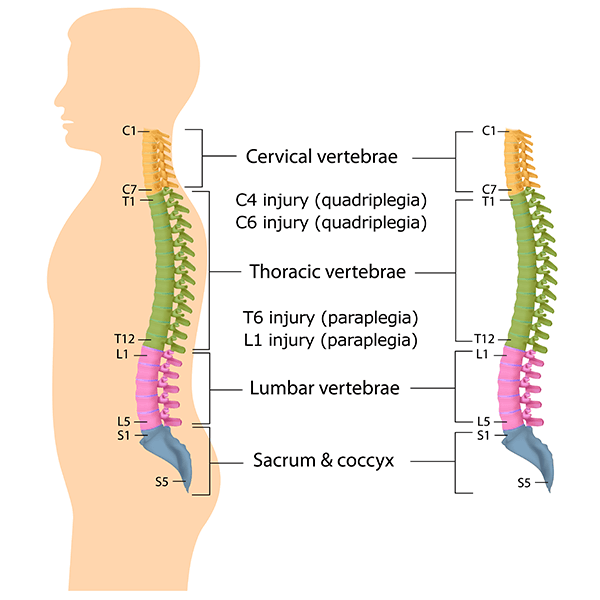 The lumbar vertebrae 5, also referred to as the L5 is the biggest vertebrae in your body. It is located in the lumbar region. Lumbar means lower. Thus, when you sit down at work, at home or anywhere, know that the L5 carries most of your weight. Apart from the weight of the lower limbs, the L5 vertebra carries the rest of your weight. To understand this better, you should consider the location of the L5 to be at the base of your spine. This is the place where a curve forms between your waist and torso when you sit down. That is why lumbar support for chairs seems to push out towards the tailbone. When you don’t use a chair designed with lumbar support, you put your lower back at a bigger risk of stress injury. You put too much strain on the L5 and subject it to serious injury. Lumbar, or lower back support is very important for you if you have back pain already. Sitting on a straight-backed chair can provoke back pain. That would hinder your productivity. At the same time, perhaps buying a chair with an elastomeric backrest that can support you in all postures is best. The reason for this is that when you sit down hunched forward, you stretch your spine too much, and a repetition of this would cause injury to your discs. But you can make the situation better for yourself. You not only need to use the best ergonomic office chair, but you should also be as active as possible. Walk to deliver a message to your colleagues rather than send emails. Take the stairs instead of taking the lift. Make a habit of rising up after every one hour or so of working, stretch and get back to work. It is very simple really. As we have already said in the preceding sections, you will find the L5 vertebrae in the lower back region. Thus, when you sit down, you subject the L5 vertebrae to all of your weight. This eventually leads to stress and injury, resulting to chronic lower back pain. Any chair purporting to be made for lower back pain must have a lumbar support mechanism. This can be adjustable or fixed. Adjustable is always better but hey, it is better to have fixed lumbar support in a chair than no support at all. When you sit down, the chair’s lumbar support will “push” against your lower back. You will actually feel it pushing back against you. Now, that is what we call support. At first, it will be uncomfortable. But as you get used to it and as the body adapts to the new posture, you start to enjoy using the chair. Now, lower back support cannot help you achieve much reprieve if you do not have a good backrest. The two go together. That is why the best office chair for lower back pain comes with adjustable back support as well as adjustable lumbar support. If an office chair has the best backrest and lacks lower back support, it cannot be referred to as a truly ergonomic office chair. A good office chair incorporates all of the best ergonomic factors. Another thing that you must get right is the height of the chair. Now, when you sit, you want the spine to attain as natural a curve as possible. The best sitting posture is to have your feet flat on the floor, your thighs parallel to the floor. Your arms should form a 90-degree angle at the elbow when they are rested on the armrests. It can help people with back pain. Other chairs would aggravate lower back pain, which would eventually spread to the entire back. But not this chair. It will help you heal. You can work for longer hours and be more productive at work. Some people just work long hours in the office, some people take work home with them. If you are the latter, buy a chair for lower back pain for your home use. Make less hospital trips and save money. No back pain means no medication and no hospital trips. If you are an employer, you hate to see your workers miss work. Just get them the right chairs. A chair for lower back pain can help correct your posture. It is made with a backrest that mimics the natural curve of the spine as much as possible. You will find that office chairs for lower back pain are not only ergonomic, but they have comfort features. One of them is a breathable backrest, the second one is seat comfort, most likely with adjustable depth. Then there are nicely padded armrests, headrests and more. If you buy a well-built chair such as the ones that you will see here, you can be sure it will last a long time. Some office chairs have warranties extending to 15 years! This does not mean that the lower priced varieties are bad. It is all about your budget. No one can really overemphasize the importance of this. The more customizable an office chair is, the better it is. This means that many people can use the same chair. It also means that you can still be comfortable even when you adopt different features. Please note that not all office chairs come with all of these features. For example, some may lack headrests, but they would come in a high back. Some may lack the adjustable lumbar support, but even the fixed one would be very helpful. Today, the best office chair for lower back pain is designed to last a long time. You can ascertain this from the high quality polished aluminum, steel and heavy-duty plastic bases. Five-spiked design for the base is most popular. Coupled with good casters that roll smoothly on any kind of floor, you can be sure this chair will last a long time. Everything, including the backrest, headrest, armrests and the material used for upholstery can last a long time if given good care. This means not exposing the chair to direct sunlight, moisture or any weather inclement. The materials used in the chairs are carefully selected such that the office chair require minimal to no maintenance. If you are buying an office chair for lower back pain to use in your home, consider one upholstered with materials that do not hold onto pet hair. Many things determine the comfort of your office chair. One of them is features like headrest. This is very good for comfort, for taking a nap and for keeping your neck aligned to your spine. Comfortable and breathable backrest is paramount in an office chair. In the hot summer months, you will be grateful for the breathable backrest. Meshed wins all the time. Besides, meshed also looks good. The seat should be comfortable, firm and supportive. Besides, it should also have nicely designed edge so that it does not press into the back of your knees. Waterfall edges have become very popular for office chairs. Some Autonomous office chairs have leg rests. It is a comfort feature mostly, but it also helps in enhancing the circulation of blood to your limbs. The leg rest is foldable, so it stays out of sight when you are not using it. Besides, it is removable, just in case you need to lessen the weight of the chair to move it. Autonomous is one of the most popular brand names out there, mostly renowned for affordable ergonomic office chairs. It is easy to see why you should choose a chair from this brand name. One, you will save money. Two, you will get features that other chair makers neglect to include. These include headrests and leg rests. With a chair such as the OsmoChair, the word premium gains a new meaning. This chair has adjustable lumbar support for your lower back, has foldable and removable leg rest, headrest and 4D adjustable armrests, yet its price is so affordable. 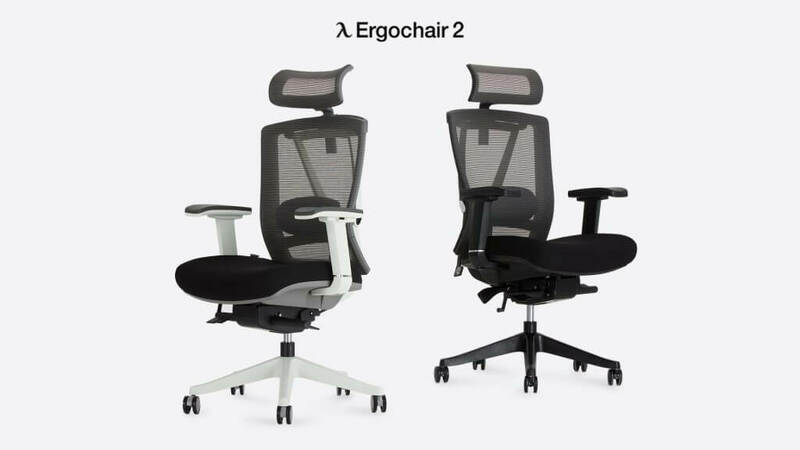 Under this brand name, there are standing desks, ergonomic stools and other office chairs such as MyoChair, AvoChair, ErgoChair 2, ErgoStool and others. 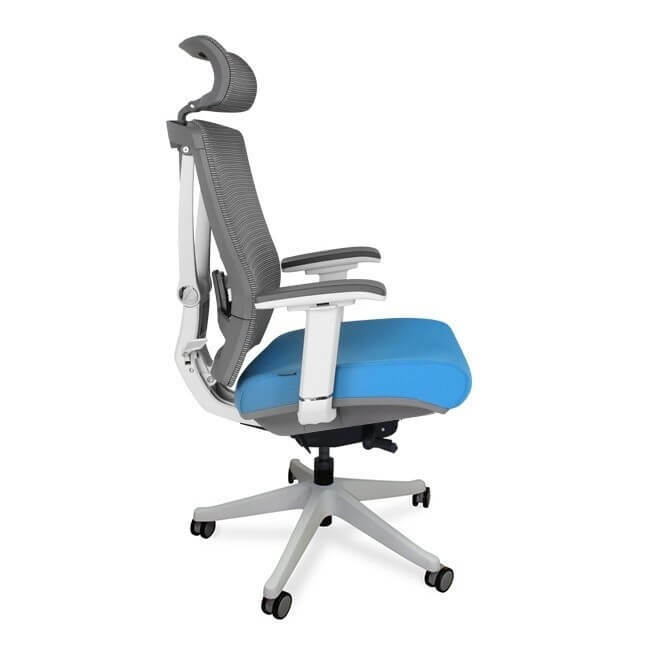 Steelcase definitely has the best office chair for lower back pain. However, it is mostly renowned for workmanship and the long warranty that their chairs come with. You can buy from this brand comfortably knowing that you will get good value for your money. 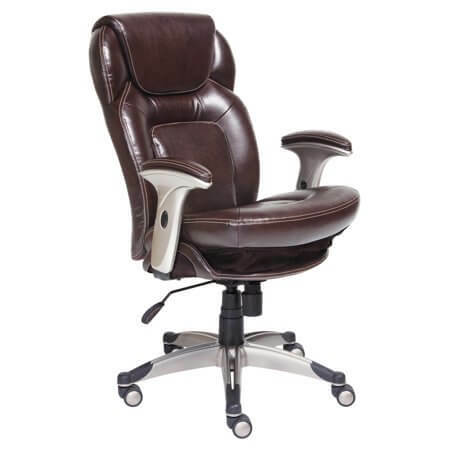 One of their most popular chairs is the Gesture Office chair. It is feature-packed, costs a pretty sum of money though, but it does give the best value for money. Besides, it is covered by the Steelcase Warranty of 12 years. 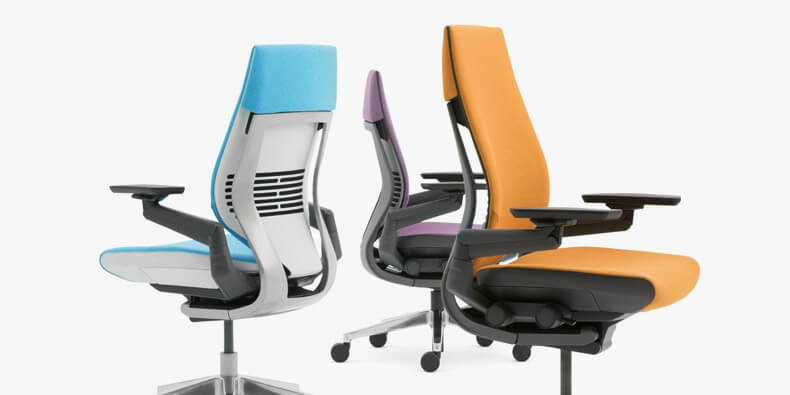 Steelcase has other incredible office chairs such as Leap, Amia and Think. Truth be told, Herman Miller has redefined the way that we get the office to adapt to our needs rather than the other way round. 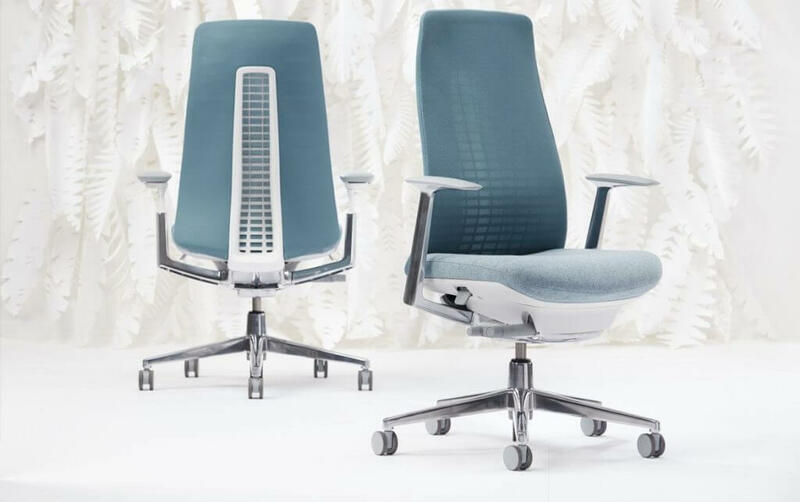 There is no doubt that Herman Miller is one of the king brands for ergonomic office chairs. 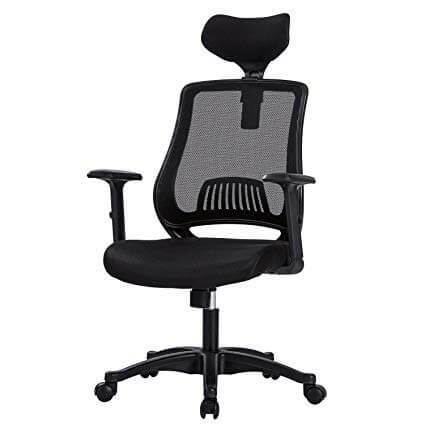 The most popular office chair under this brand name is the Aeron chair. 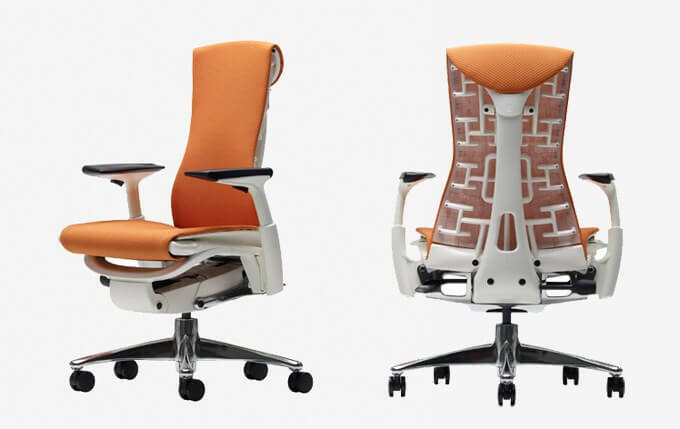 Sayl, Embody and Mirra come with incredible features for comfort and ergonomics too. Herman Miller chairs are costly but they are designed to last a long time. You can look forward to many comfort and posture enhancing features. These are fully adjustable armrests, incredibly effective lumbar support, breathable backrest and stylish design. 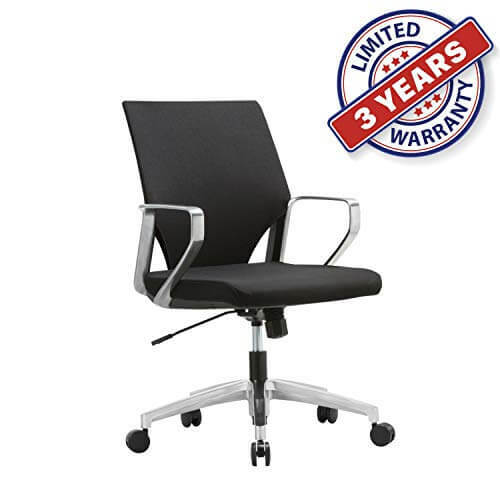 With a warranty of 12 years offered in three shifts, you know this is a good office chair to buy. Be ready to part with several hundreds of dollars though. With a product such as the Zody office chair, your ergonomic needs will be well taken care of. 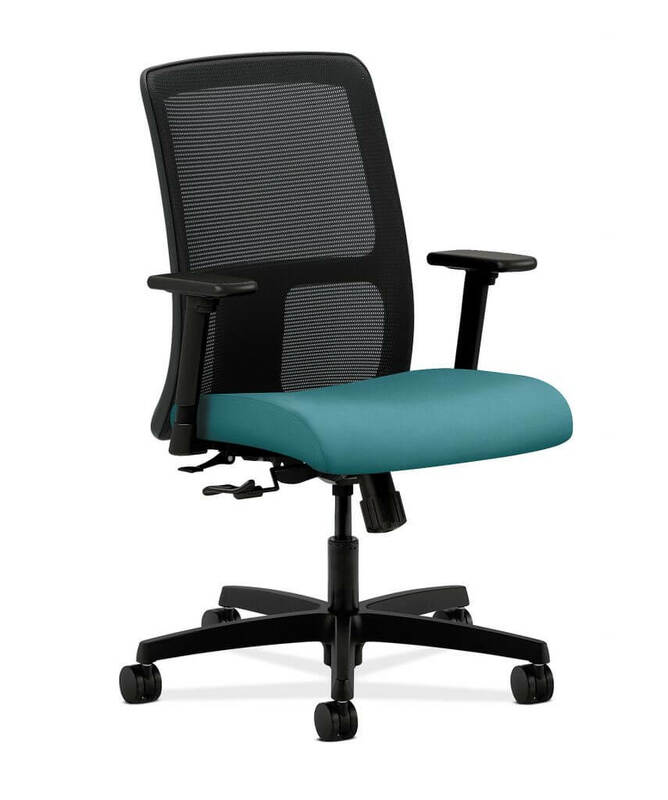 Their most popular office chair is the Zody, with features such as adjustable lumbar support, breathable backrest, fully adjustable armrests and many more. With asymmetrical adjustments for the lumbar support, you can lower the left one while leaving the right one intact. When Haworth says that they have blended science and functionality in this chair, they mean exactly that. All of the Haworth Office chairs are good as they have individual strengths, but all of them offer back support. They include Comforto 59, Fern, DynaFlex, Lotus, Very and Lively to name but just a few of them. One of the most notable things about this office chair is that it takes all the work off your hands. No, not your office work (wouldn’t that be something…), but you do not have to adjust anything manually. The backrest adjusts automatically depending on the weight of the user. Some people feel this is a good thing, and some feel that they are not fully in control of their sitting posture. The Diffrient office chair is also designed with an automated backrest adjuster. Thus, you do not have to worry about your posture. Just sit on the chair and it will find the best tension based on your weight. Manually, you just have three things to adjust. These are height, armrests and headrest for the models that come with one. 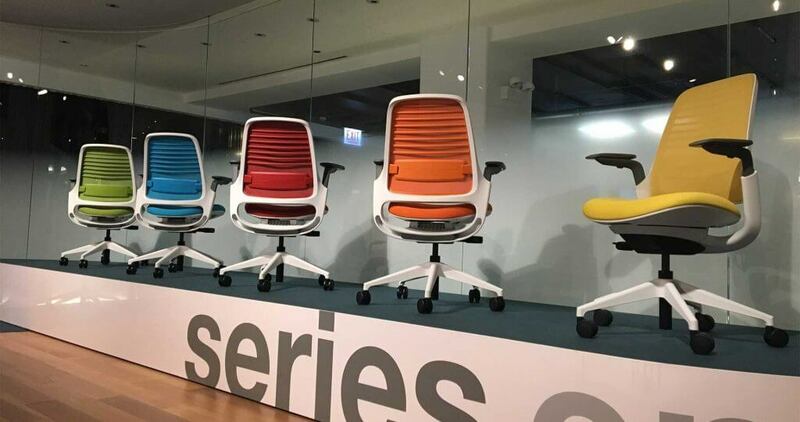 Another thing you will love about the Humanscale office chairs is the many color options. All of the Humanscale Office chairs come with a slimline design for their seats. This makes the edge comfortable on the back of your knees. Other Humanscale office chairs that you may consider buying include Liberty. There are diverse styles under the Freedom, Diffrient and Liberty chair models. 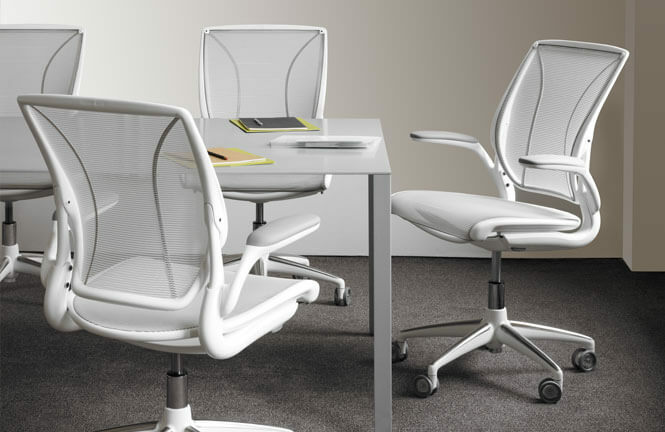 All Humanscale office chairs are covered by a warranty that stretches over 15 years. This is an award-winning chair. It has been designed after the human body. This means it conforms to the ergonomic needs of the human body rather than the other way round. 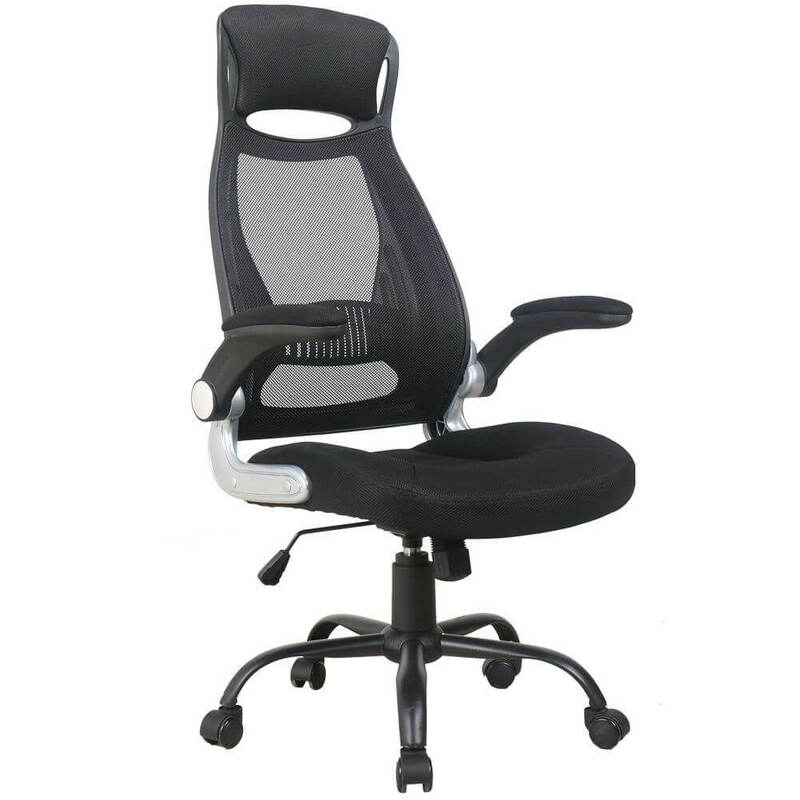 It has excellent lumbar support, good breathability and good seat design. You can sit on this chair for long without feeling tired. You will love the 3D LiveBack technology that ensures that when you move, the backrest also moves. This ensures that your back is supported all of the time that you will be in the chair. When you recline deeply, a torsional spring ensures just the right support. When you sit upright, the torsional spring gives more support. The Embody chair is a marvel of technology. First, it is a good chair for people already suffering from a bad back. It is also a good chair for people that would like to prevent back pain in the near or distant future. This chair is made with features such as a tilt limiter, adjustable seat, armrests that are fully adjustable and casters that perform well even on carpeted floors. This chair is well aerated to keep you comfortable throughout the day. The seat is uniquely designed to give the chair a comfortable edge for long hours of sitting. It is shipped fully assembled, in a big package. You just have to unpack and start using it. It is also covered by the Herman Miller limited warranty of 12 years. This chair was endorsed by the APTA – American Physical Therapy Association. That alone should be enough insurance that it is the best office chair for lower back pain. It has many good things going for it. It has been designed to focus mostly on what your body needs. Thus, you can expect premium material, high quality frame and durability from this chair. This chair is made to specifically target the lower back, because that is where most stress-related injury happens. When you sit down, you will feel that the chair conforms to your body completely. This chair also offers good support for your pelvic region. 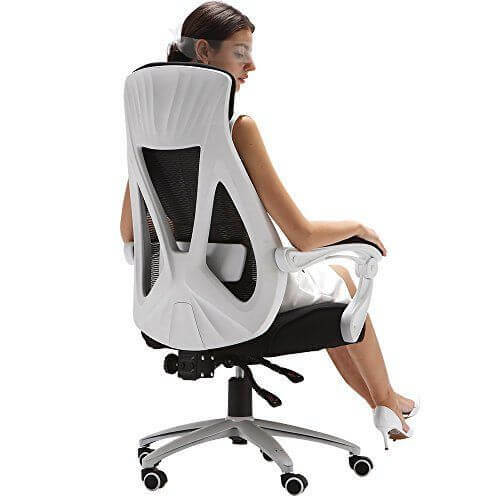 Even if you sit for long hours, this chair is bound to help your spine stay well aligned, in the most natural posture. 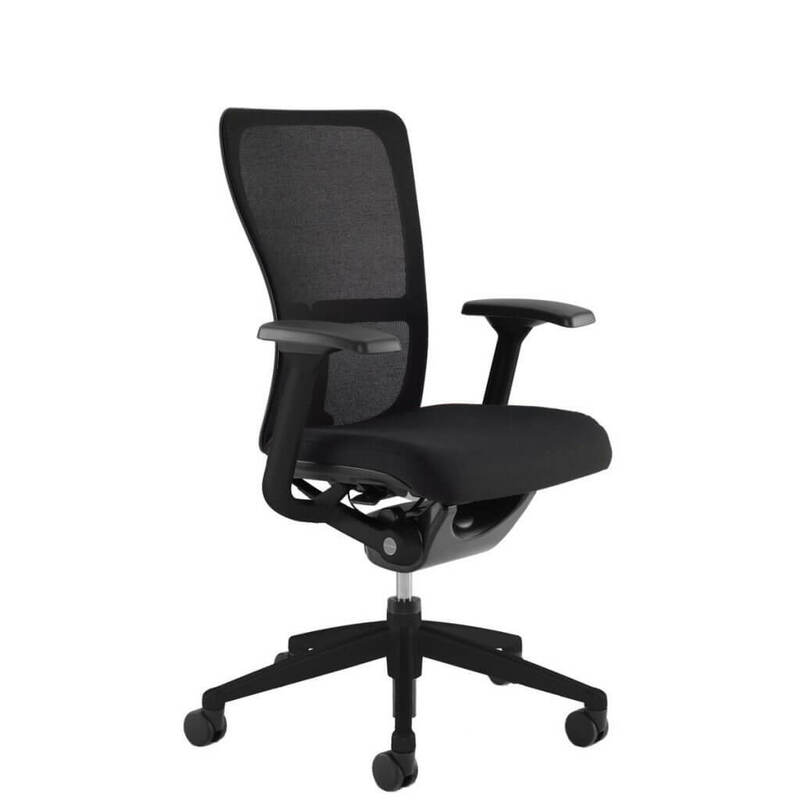 Yes, it is perfectly possible to get a high quality, best office chair for lower back pain at less than $500. You can even get it at less than $300 as you will see in the upcoming sections. 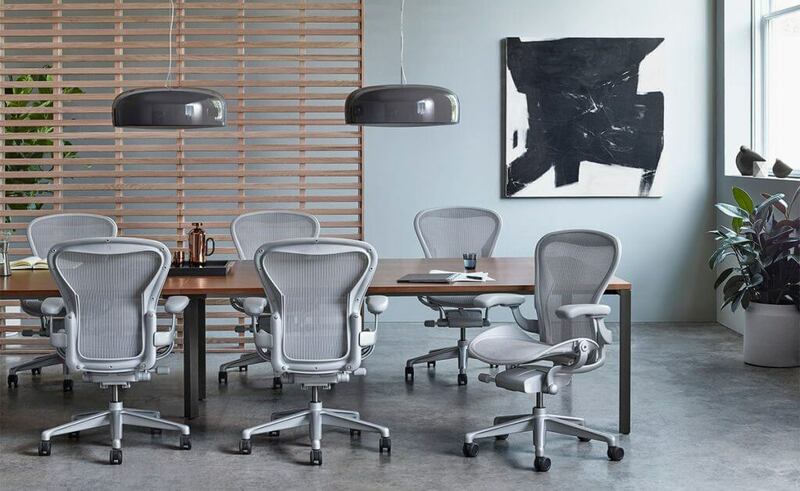 The Herman Miller Sayl chair looks and feels every bit like the high-end premium chairs. Firstly, one of the best brand names in the market has built this chair – it is a Herman Miller! Secondly, it has all the ergonomic features that you may need to help your ailing back. One of the most noticeable things about this office chair is the frameless design. The backrest is meshed for breathability and airflow. By looking at this chair, you may wonder whether it is any good for lower back pain. You will be surprised. 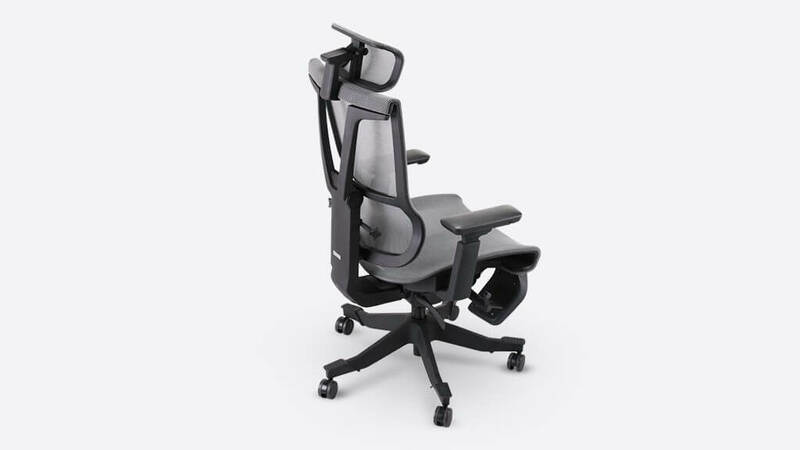 You see, it has a Y-tower feature in the back offers support to the frameless backrest. You will also notice a protruding curve in the lower section of the backrest. That is designed to help your body mimic the natural shape of your spine. This is another of the best office chairs that you will find very affordable. It comes with adjustable lumbar support, breathable material and a truly ergonomic, posture-enhancing design. This chair is a product of combined Italian and Korean styling prowess. They have got just about everything in this chair right. Even when you lean back deeply on this chair, it is able to accommodate you. The backrest distributes your weight evenly such that there is no tension or knots in your muscles. The adjustable tilt tension, the beautifully designed seat edge and many more features make this chair a must-have for anyone that wants to focus on their health. Fully adjustable armrests, a headrest that gives way slightly when you lean back, easy to access controls and durability make this chair worth investing in. When you buy it, you will get a limited warranty of 12 months and money back guarantee of 30 days. This chair is so simplistic in design, yet so ergonomically effective at the same time. When you use this chair, you will agree that indeed, it has your best interests at heart. The backrest is made of mesh, breathable and long lasting. The chair has been designed to conform to the natural curves of your body. The backrest also slides up and down to suit the needs of people of different heights. With a lot of customizability, you can adjust this chair to suit your needs. The arms are adjustable too. While the chair does not have adjustable lumbar support, it is incredibly supportive. It may not be good for people with back pain. It is good for people looking to prevent back pain in future. This is another affordable office chair with good lower back support. 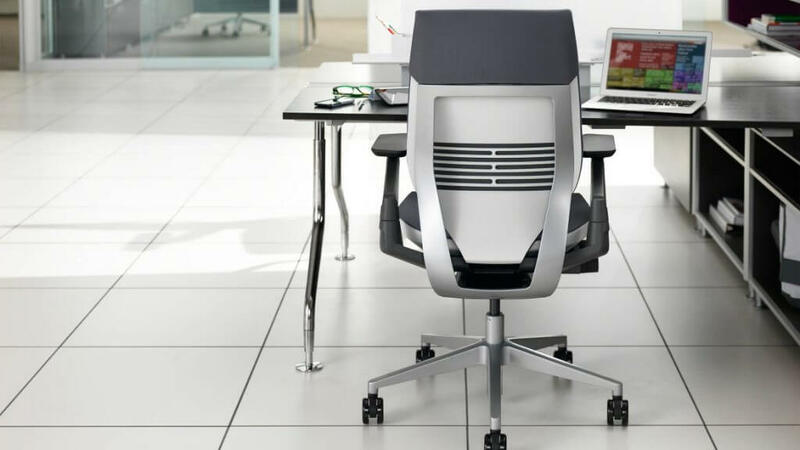 Like its sister the Ergo Chair 2, it is made to impress with its looks and it is ergonomically effective. If you are looking for a chair that will serve you for a long time on a low budget, go for this one. For a little extra amount of money, you can get this chair with all the works. You can get it with a foldable leg rest, and with a headrest. However, if you would rather save money and do without those features, just order one without. If you already have a bad back, OsmoChair is going to help improve your posture. It will not happen overnight, but the more you use your chair, the faster it will do the job. This chair has a tiltable backrest, comfortable and firm seat, fully adjustable armrests and many other ergonomic features. It might not have a meshed backrest like most of the office chairs that we have reviewed here. However, for low price office sitting options, the Serta brand name is well known. 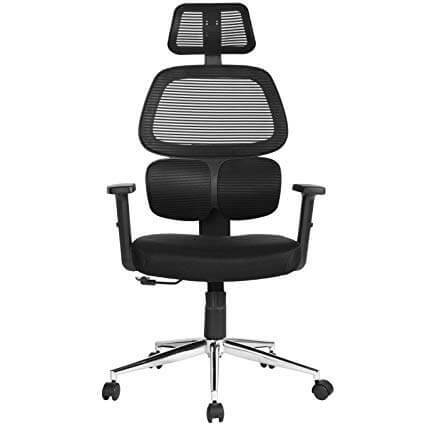 It is the best office chair for lower back pain in this price range. This chair looks like an executive chair. As you will see in many other reviews, looks and price are not all that there is to this office chair. For example, it has the tilt-technology that ensures your pelvis is supported anytime you lean forward or backward. The lumbar support is also wonderfully efficient. It stays with you as you change postures, or as you move about on your chair. You can be assured that you will have lumbar support throughout the time that you will be sitting. The armrests can be easily adjusted at the touch of a small button on the side. Another thing that you will love with this chair is that it is upholstered with bonded leather. Care and maintenance should not be a problem at all. About breathability, well, it is there, but it is not as good as that offered by meshed backrests and seats. The pillows used in this chair are very good. It is very comfortable. With a limited warranty of 3 years, you feel confident while ordering this chair online. This chair has many adjustable features, one of them being the lumbar support, the armrests and the seat too. The breathable backrest will keep you cool and comfortable throughout the working experience in summer. The Clatina ergonomic office chair has a tilt and lock function. With this one, you can choose one among three positions for adjusting the chair. The angle of recline is 95 to 115 degrees. That should give you enough stretching room even when you want to relax in the office. Every feature of this office chair has been carefully crafted. The upholstery is high quality nylon, the casters are good for all types of floors and the gas lift is very effective. This is a very comfortable office chair, yet it is so affordable. That is why we included it in this list of the best office chair for lower back pain. It has a comfortable cushion, effective lumbar support and has a headrest, which helps keep the spine fully aligned when you sit down. The back is made of breathable mesh, which you will find not only easy to maintain, but also very effective at keeping you cool in summer. The backrest is ergonomic in design such that it helps your spine keep its natural curve. The backrest is also adjustable so that you can adopt different sitting postures in the office. The recline is better, and bigger than what you would find in many high-end office chairs. For example, it reclines from 90 degree, all the way to 150 degrees. That is quite a deep recline. Thanks to the functional lumbar support, this chair is certainly good for people with lower back pain. It is hard to imagine that for a price of less than $200, you can get an effective office chair for lower back pain. However, the truth is that you can. Try the MBOO ergonomic office chair and you will never regret it. The armrests are adjustable. Just touch the small button on the side and bang… you can raise them or lower them, as you wish. The breathable backrest/meshed actually, will keep the air flowing between you and the back. Stay cool even when working long hours in summer. This chair has a headrest and yes, it is adjustable. So is the padded lumbar support. It looks as if customizability is the new name for this chair. If you look on Amazon.com, you will see that it has a rating of 4.5 out of 5 stars. The most noticeable feature about this office chair is the padded lumbar support. This should keep you quite comfortable as you work in the office. It is designed with many customizable features so that different people can use it. The backrest of this chair is adjustable, and so are the armrests. You can also adjust the height of the chair to suit your needs. This office chair is simplistic in design, but that is not always bad. It offers maximum support and comfort for users of all sizes. For the price of $100 on various online marketplaces, this is a good ergonomic office chair. You may not be able to use it for 8 hours continuously, but it is a good chair. Besides, you get to save money. This is another of the most affordable ergonomic office chairs in the market. When you see it for the first time, the backrest will make you think that this chair is going to hug you. The frame of the backrest is curved slightly inwards on the outer edges. 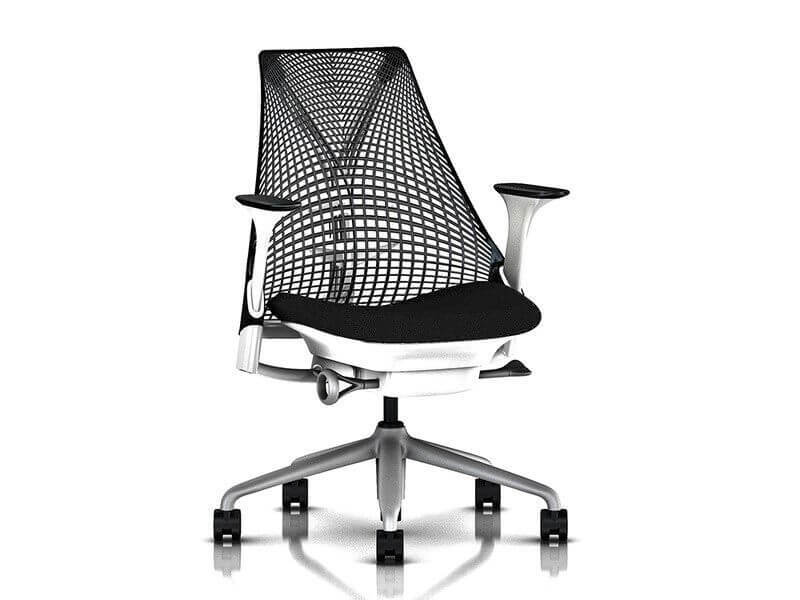 The breathable, meshed backrest is very comfortable. The chair also has fixed, but very effective lumbar support. This makes it a good office chair for lower back pain. The chair is also customizable in different ways. For example, you can adjust the tilt, the height and the armrests can be folded to get them out of the way. This chair is good for people who just pop in and out of the office, that is, not sitting down for longer than four hours. Thankfully, this is a very affordable chair, well under $100. From the 13 ergonomic chairs that we have reviewed here, you can get the best office chair for lower back pain. One thing that you will note about them is that they all have lumbar support, either fixed or adjustable. Some are best for people who work seated for long hours. Others, especially the low-end ones are good for people that sit for just a couple of hours. Whether you are looking for a chair to help prevent back pain in future or to help you heal from back pain, there is one for you.